YOUR INTENSIVE CARE HOTLINE - My 29 year old husband is in Intensive Care with a brain injury and fractured legs! He’s been in an induced coma for four weeks and he has been septic! Will he be OK? My 29 year old husband is in Intensive Care with a brain injury and fractured legs! He’s been in an induced coma for four weeks and he has been septic! Will he be OK? This question from Olta formed part of an email consulting/counselling session with me. I’m the wife of an army officer, he is 29 years old. 40 days ago he had an accident with a head injury, the doctors operated on him and the operation went very well and the doctors put him in an induced coma…the CT scan of the brain showed that he doesn’t have any brain injury but he had a severe leg infection and they kept him in an induced coma for one month. Then they woke him up and he responded very well. He seems to listen and when I come closer to him he kisses me on the lips. He doesn’t need mechanical ventilation anymore. He has never been taking drugs or alcohol and he was physically very strong. How long do you think it will take him to come back to normality? The doctors woke him up a week ago then they operated on his leg two days ago with general Anesthesia. They closed it up and now he doesn’t have sepsis or infection anymore on his leg. I hope that makes sense and I’m sorry if I’m not too clear…so he had an accident in which he injured his head and crashed the right leg…the doctors operated him urgently for the head injury and left his tibial fracture and wound untouched…than they put him in an induced coma for 6 days and after that they woke him up. But by that time he was still on mechanical ventilation…after that they left him awake for three days, then he had his leg operated for the tibial fracture…they woke him up again after the operation but the wound in his leg got infected and had sepsis too…so they put him back to sleep and they did the tracheostomy. thank you for your email and for your enquiry. And thank you for signing up to my email counselling/ consulting service. I am very sorry to hear what you and your husband are currently going through. Being in an induced coma for one month is a very long time, however if your husband is now awake and is recognizing you, it’s very encouraging. If your husband was septic because of his leg infection it’s probably the reason why they kept him in the induced coma. Even though four weeks is a long time for an induced coma, if he was septic and they didn’t want to take the risk of operating on his leg it was most likely the right thing to do. It’s nothing unusual that fractures are not getting operated on straight away in a Critical Care environment if Patients are unstable and have other injuries or fractures that make it too risky. 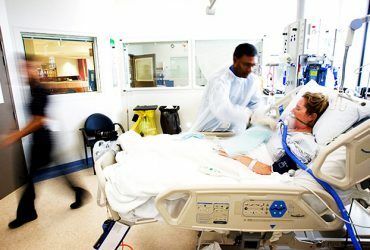 Leaving critically ill Patients in an induced coma during those periods when it’s too risky to intervene and do procedures makes sense and it often gives Patients time to heal and rest. Especially with Sepsis, it’s good that they didn’t take the risk and taking your husband to theatre for operating on the leg! On top of that, given that he had a head/brain injury, it was probably wise to leave him in an induced coma for a bit longer so his head and brain had time to rest and heal as well. After such a long critical illness with sepsis, your husband will need time. It’s very encouraging that he recognizes you and that he can confirm what you are saying. Being in an induced coma for so long with sepsis can take its toll and it will most likely take your husband some time to fully recover. However it’s a good sign that after the plastic surgery he’s had that he didn’t to go back on the ventilator. It’s also a good sign that he’s not septic anymore. Therefore it was wise to not operate on the tibial fracture, get the IV Antibiotics going first, treat the infection/ sepsis and then operate on it. Recovering after a longstanding critical illness can take time. You need to be patient and it’s often two steps forward and one step back. The most important thing that I can see is that your husband doesn’t have any brain injuries, therefore he should be able to fully recover. This might take time, but your husband’s first goal is to get out of Intensive Care first and it sounds to me like he’s not too far away from doing that. Also, keep in mind your husband will have lots of medications from the induced coma and from the general anesthesia in his body that will most likely slow him down as well. Again, one step at the time, day by day and often hour by hour. It’s important for you that you keep your sanity and that you stay positive. I hope that clarifies, any other questions please let me know. Also check out our Ebook section where you get more Ebooks, Videos and Audio recordings and where you can also get 1:1 consulting with me via Skype, over the phone or via email by clicking on the products tab! My BROTHER is in ICU after he had a CAR ACCIDENT and he’s NOT WAKING UP! Help! My HUSBAND had a HORRIBLE work accident and went into CARDIAC ARREST! Will he be PERMANENTLY DISABLED? How long can a critically ill Patient stay on life support? My 32 year old son has an anoxic brain injury with a tracheostomy and I want him to “wake up”! Now they are giving him more sedatives, help! 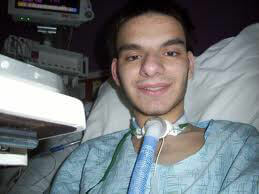 Will my 19 year old son EVER come off the VENTILATOR after he ASPIRATED during a SEIZURE?